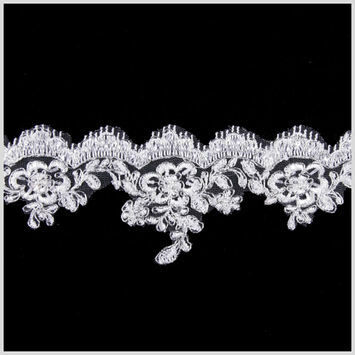 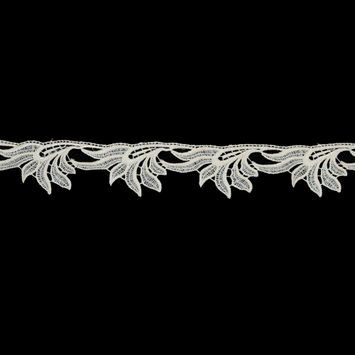 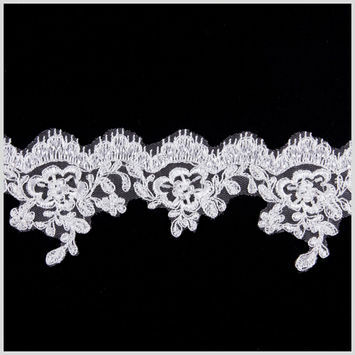 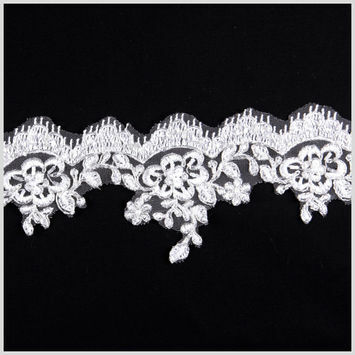 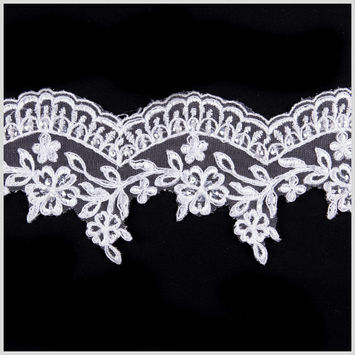 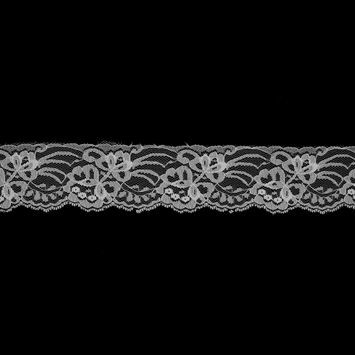 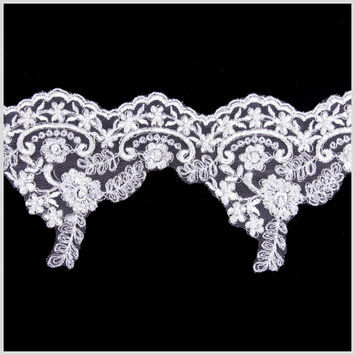 Bridal Lace Trim is the perfect finishing detail for any bridal ensemble. 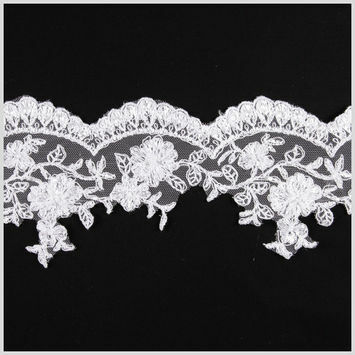 In many western cultures, brides wear white to symbolize purity and loyalty to their partner, while in some eastern cultures brides wear red for luck. 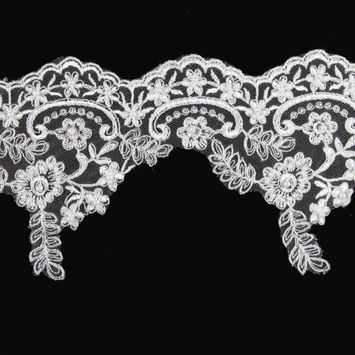 Although traditionally brides wore gowns, times have changed, and many brides choose to where pantsuits, skirts, or even jumpsuits. 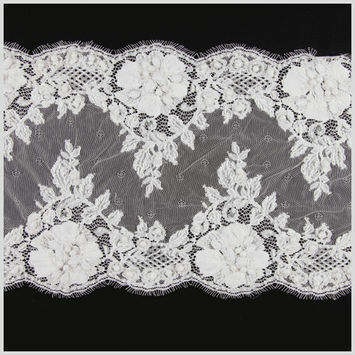 In the fifties, Grace Kelly popularized lace wedding gowns, which came back in the eighties. 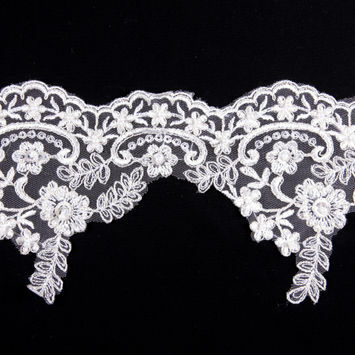 As for now, the trend is simply wear what makes you feel beautiful on your special day. 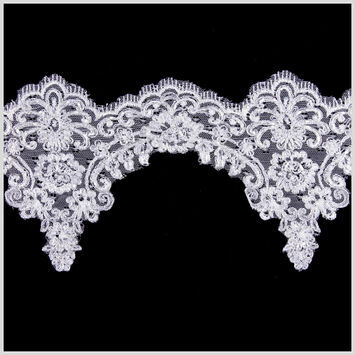 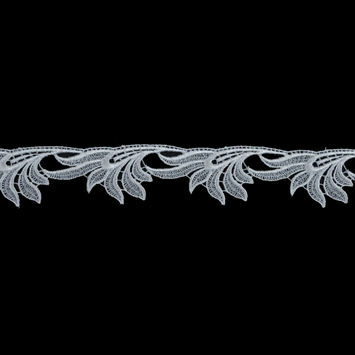 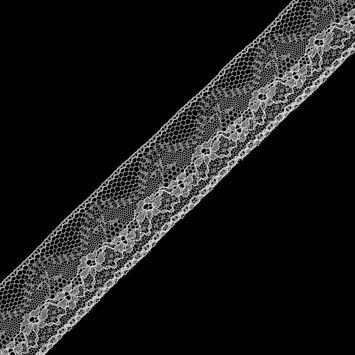 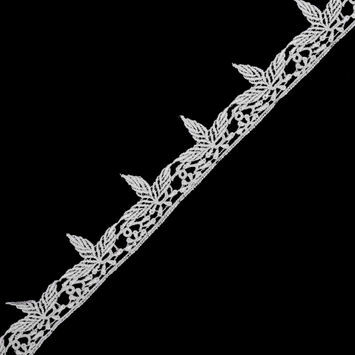 From the neckline on a traditional bridal gown to the sleeves of a trendy bridal pantsuit, bridal lace trim is an excellent design element for any bridal garment. 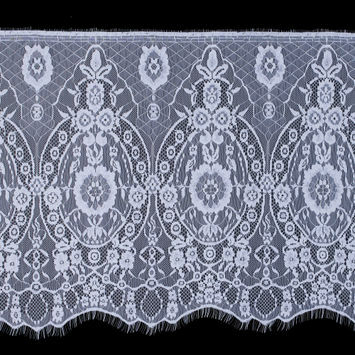 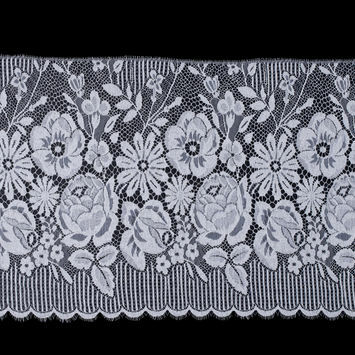 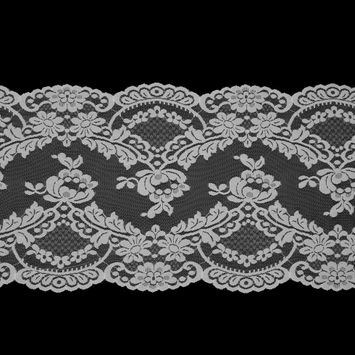 White Fine Floral French Lace Trimming - 14"
White French Lace Trimming - 14"
Off-White Laced Netting Trim - 2.5"
White Scallop-Edged Lace Trim - 9"